Palestine is a small region of land—roughly 2,400 square miles—that has played a prominent role in the ancient and modern history of the Middle East. Violent attempts to control land have defined much of the history of Palestine, making it the site of constant political conflict. 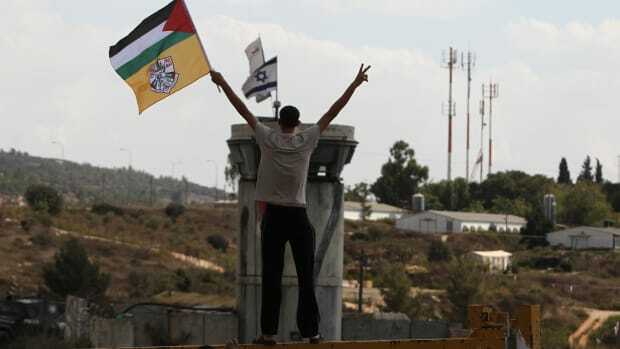 Arab people who call this territory home are known as Palestinians, and the people of Palestine have a strong desire to create a free and independent state in a contested region of the world that’s considered sacred by many groups. Until 1948, Palestine typically referred to the geographic region located between the Mediterranean Sea and the Jordan River. Arab people who call this territory home are known as Palestinians. Much of this land is now considered present-day Israel. Today, Palestine theoretically includes the West Bank (a territory that divides modern-day Israel and Jordan) and the Gaza Strip (land bordering modern-day Israel and Egypt). However, control over this region is a complex and evolving situation. The borders aren’t formally set, and many areas claimed by Palestinians have been occupied by Israelis for years. More than 135 United Nations member countries recognize Palestine as an independent state, but Israel and some other countries, including the United States, don’t make this distinction. Scholars believe the name “Palestine” originally comes from the word “Philistia,” which refers to the Philistines who occupied part of the region in the 12th century B.C. Throughout history, Palestine has been ruled by numerous groups, including the Assyrians, Babylonians, Persians, Greeks, Romans, Arabs, Fatimids, Seljuk Turks, Crusaders, Egyptians, Mamelukes and Islamists. From about 1517 to 1917, the Ottoman Empire ruled much of the region. When World War I ended in 1918, the British took control of Palestine. The League of Nations issued a British mandate for Palestine—a document that gave Britain the responsibility of establishing a Jewish national homeland in Palestine—which went into effect in 1923. 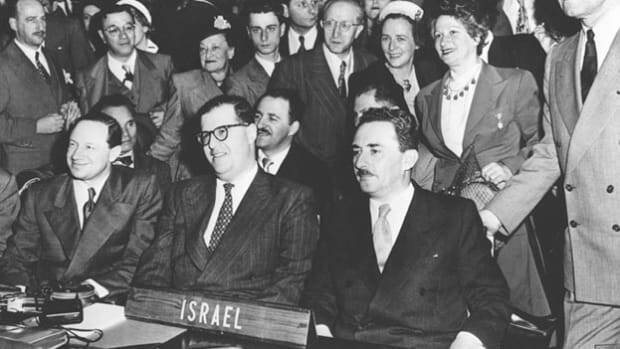 In 1947, the United Nations proposed a plan to partition Palestine into two sections: an independent Jewish state and an independent Arab state, with Jerusalem as internationalized territory. 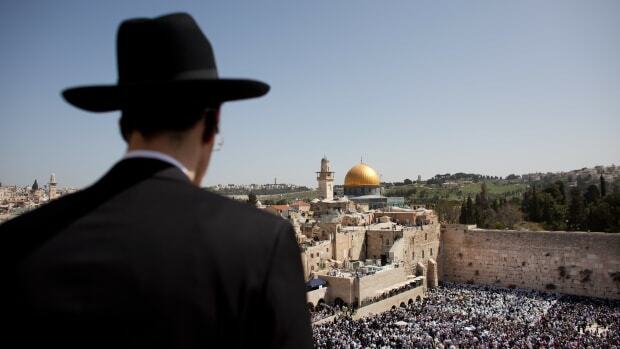 Jewish leaders accepted the plan, but many Palestinian Arabs vehemently opposed it. Arab groups argued that they represented the majority of the population in certain regions and should be granted more territory. They began to form volunteer armies throughout Palestine. In May 1948, less than a year after the Partition of Palestine was introduced, Britain withdrew from Palestine and Israel became an independent state. Estimates suggest between 700,000 and 900,000 Palestinians fled or were forced to leave their homes. Almost immediately, war broke out between Jews and Arabs in the region. The 1948 Arab-Israeli War involved Israel and five Arab nations—Jordan, Iraq, Syria, Egypt and Lebanon. This conflict marked the beginning of years of violent conflict between Arabs and Israelis. In 1964, the Palestine Liberation Organization (PLO) was formed to create a platform for establishing a plan for a Palestinian state within Israel. The PLO also emerged as a response to Zionism, an organized movement to reestablish a Jewish homeland in Israel. In the years after its inception, the PLO became associated with extremism and violence. In 1969, the well-known Palestinian leader Yasser Arafat became the Chairman of the PLO and held that title until he died in 2004. Israel attacked Egypt, Jordan and Syria between June 5 and June 10, 1967. 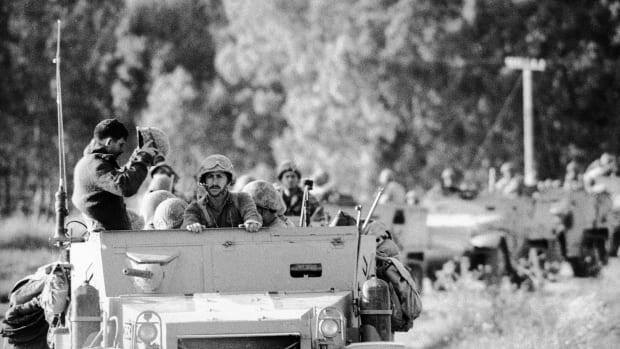 This brief conflict, which became known as The Six-Day War, resulted in major land gains for Israel. After the war, Israel took control of the Gaza Strip, West Bank, Sinai Peninsula (a desert region situated between the Mediterranean Sea and the Red Sea) and Golan Heights (a rocky plateau located between Syria and modern-day Israel). The outcome of this war led to more fighting that continued for decades. In 1987, the First Intifada broke out. This conflict was fueled by Israeli occupation of Gaza and the West Bank. Palestinian militia groups revolted, and hundreds of people were killed. 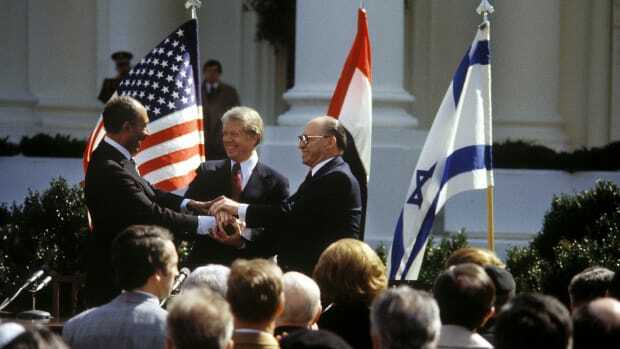 A subsequent peace process, known as the Oslo Peace Accords, was proposed to end the ongoing violence. 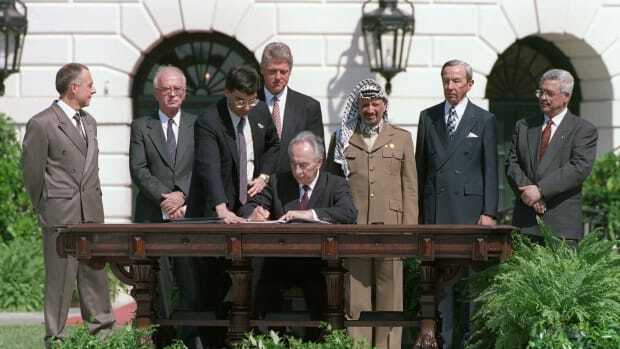 The first Oslo Accord (Oslo I) created a timetable for a Middle East peace process and a plan for an interim Palestinian government in parts of Gaza and the West Bank. The agreement was signed in 1993 and witnessed by Israeli Prime Minister Yitzhak Rabin and Palestinian leader Yasser Arafat. Arafat returned to Gaza in 1994 after being exiled for 27 years. He headed up the newly-formed Palestinian Authority. 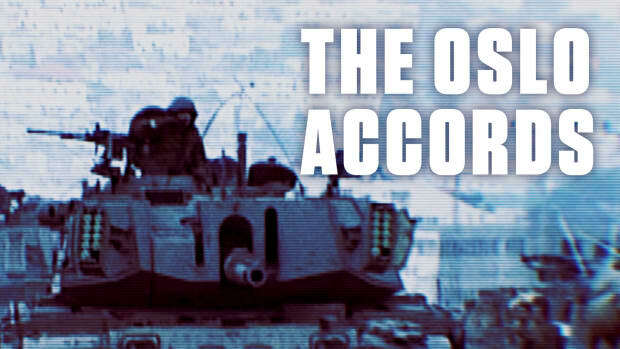 In 1995, Oslo II called for a complete withdrawal of Israeli troops from parts of the West Bank and other areas. It also set a schedule for Palestinian Legislative Council elections. 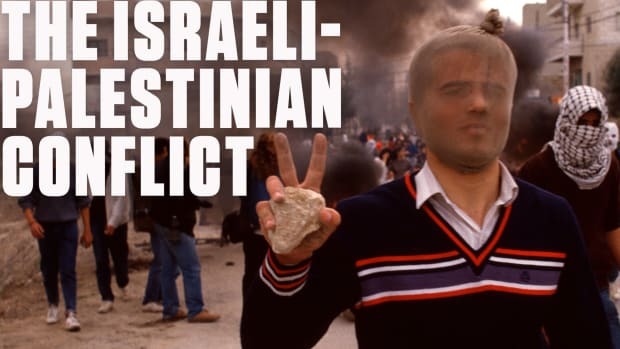 In September 2000, the Second Palestinian Intifada began. One of the triggers for the violence was when Ariel Sharon, who would later become Israel’s Prime Minister, visited al-Aqsa Mosque in Jerusalem. Many Palestinians felt this was an offensive move, and they protested. Riots, suicide bombings and other attacks subsequently broke out, putting an end to the promising peace process. This period of violence between Palestinians and Israelis lasted nearly five years. In 2005, the Israeli army withdrew from Gaza. In 2006, Hamas, a Sunni Islamist militant group, won the Palestinian legislative elections. That same year, fighting between Hamas and Fatah, the political group that controlled the PLO, ensued. In 2007, Hamas defeated Fatah in a battle for Gaza. Many countries consider Hamas to be a terrorist organization. The group has carried out suicide bombings and repeatedly called for the destruction of Israel. Hamas and Israel fought each other in several bloody wars, including Operation Cast Lead in December 2008, Operation Pillar of Defense in November 2012 and Operation Protective Edge in July 2014. In April 2014, Hamas and Fatah agreed to a deal that would form a unified national Palestinian government. Palestinians are still fighting for an official state that’s formally recognized by all countries. Although Palestinians occupy key areas of land, including the West Bank and the Gaza strip, large populations of Israelis continue to settle in these locations. Many international rights groups consider these settlements illegal, the borders aren’t clearly defined, and persistent conflict continues to be the norm. In May 2017, leaders of Hamas presented a document that proposed the formation of a Palestinian state using the 1967 defined borders, with Jerusalem as its capital. 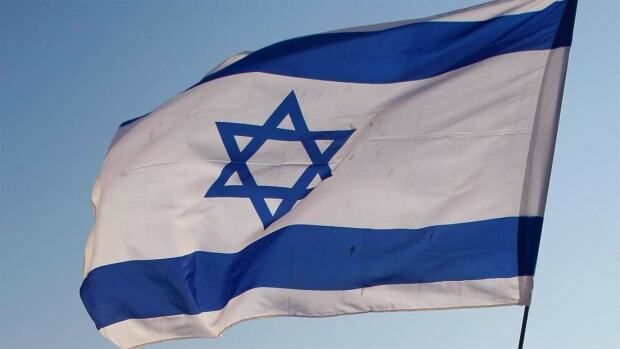 However, the group refused to recognize Israel as a state, and the Israeli government promptly rejected the plan. While so much of Palestine’s history has involved bloodshed, displacement, and instability, many world leaders are working toward a resolution that will result in peace throughout the region. What is Palestine and Palestinians? Israel Science and Technology Directory. Everything you need to know about Israel-Palestine. Vox.com. Map: The countries that recognize Palestine as a state. Washington Post. UN Partition Plan. BBC News. The Palestinian Liberation Organisation. The History Learning Site. Timeline: History of a Revolution. Al Jazeera. Hamas accepts Palestinian state with 1967 borders. Al Jazeera. Palestine Liberation Organization. Oxford Islamic Studies Online. Oslo Accords Fast Facts. CNN. Profile: Hamas Palestinian movement. BBC News.